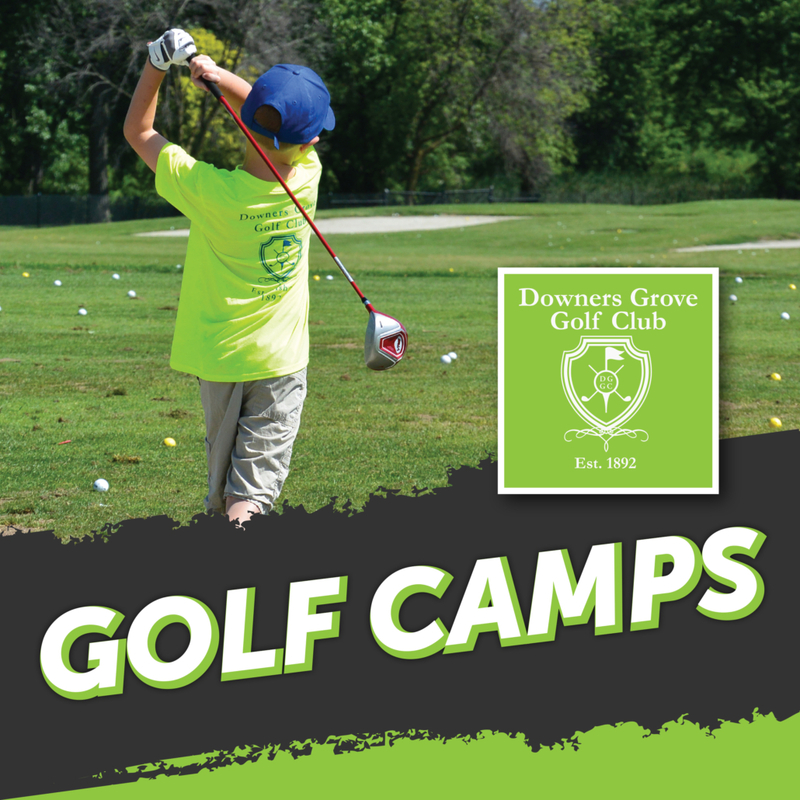 Golf Camps at the Downers Grove Golf Club provide an environment where young golfers of all abilities can play, have fun and improve their golf skills. Check out Smart Smart Golf for ages 3-4, Little Linkers for ages 5-7, Junior Aces for ages 8-14 and High School Prep Camp for ages 12-18. 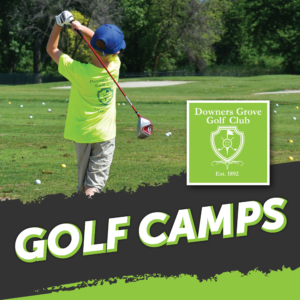 Parents, let our certified golf professionals show you how to teach your youngster the game of golf with positive reinforcement, FUN activities and exciting equipment! Learn how to develop your child’s motor skills, ball sense and feel for the golf swing using the driving range and practice green. Each child must be accompanied by an adult. Make-ups will not be accommodated for missed days. Our certified golf professionals and their staff introduce young children to the game of golf by teaching solid fundamentals while emphasizing golf techniques and swing mechanics. Each session meets three days on the driving range and practice green. Golfers should bring their own clubs if they have access to a set; a limited number of loaner clubs are available to be shared. Practice balls, USGA rules book and camp T-shirt are included in the cost of the camp. Make-ups will not be accommodated for missed days. Our certified golf professionals help junior golfers develop the confidence, independence and focus needed for the great game of golf. Grouped by age and ability, instruction will include the basics of the golf swing, etiquette, woods, irons and the short game. Camps meet Monday to Friday for 45 minutes. Each weekly session includes an evening of supervised course play on the Friday of that session at 6:30pm. We ask that golfers bring their own clubs if they have access to a set, if not a limited number of loaner clubs are available to be shared. Practice balls, USGA rules book and camp T-shirt are included in the cost of the camp. Make-ups will not be accommodated for missed days. This high school camp is a six-hour group lesson that takes place over three days and concludes with a nine-hole playing lesson on the fourth day! Our golf professionals touch on every aspect of the game and tailor the class to the needs of every golfer. This is the perfect lead up to the high school season! Golfers should have their own clubs. Make-ups will not be accommodated for missed days.